I'm starting to understand why so many bloggers follow a schedule or theme with posts. Monday Moves, Taco Tuesday, all that jazz. Sometimes it's just easier to start writing when you have set parameters for your topic. Friday, therefore I must talk about French Braids! I can't tell you how many posts I have in draft right now (actually, I can, it's 18) because I start writing and then get lost going on tangents and trying to figure out how to tie it all together. 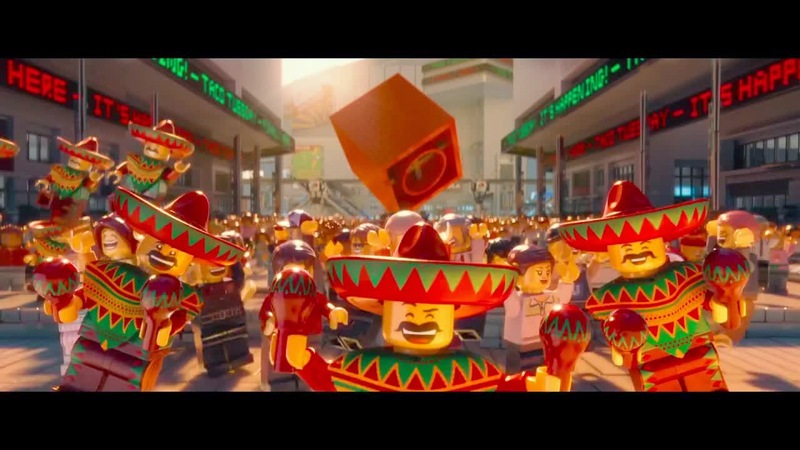 If you haven't seen The Lego Movie yet, go watch it and then come back so we can be friends. It will also help with the Taco Tuesday reference. I shy away from the idea of themed posts, however, because I find so many of them boring and/or really repetitive. There are only so many What I Ate Wednesdays before the blogger can pretty much just link back to the one post over and over again. Still, there is something to be said for regularity and themes. So, I'm going to give it a try. Not every day (because I'm lazy) but I'm going to try for three themed posts a week. It will give this blog more structure over all. I won't be looking at a blank page with no idea where to start on a post. All the cool kids People are doing it. And I'm going to start next week because, again, lazy. Also, then the World Cup will be over and I can pretend to have a life again. Until then, Germany is in the final against Argentina so win or lose, I'll be drunk on Sunday!